The last animated movie I saw, Coco, was one of the best I’ve seen it years, so Ferdinand would have a hard time living up to it…but it made a really good effort of getting there. From a young age Ferdinand wasn’t like the other bulls…while they were all headbutting with their freshly grown horns, he was watering flowers…and when the Matadors showed up his dad was picked to go the ring. But he didn’t want to grow up and be like his father, he just doesn’t want to fight. 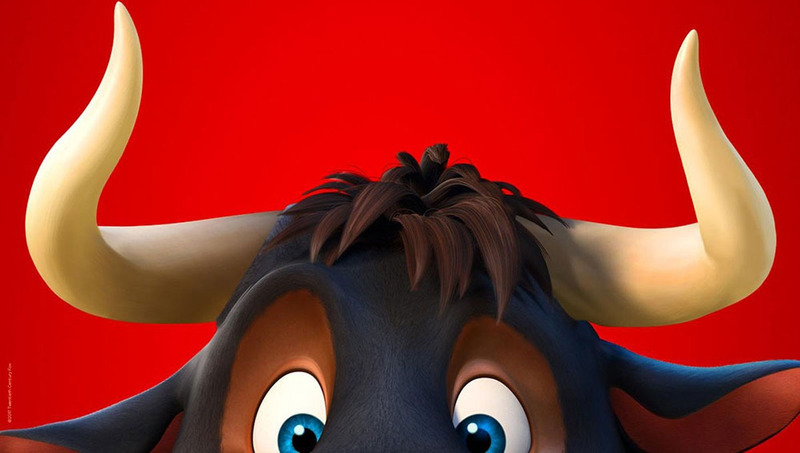 Thankfully he settles in with a family that supports his flower addiction, and loves him for who he is…but when he goes off the reservation, he gets returned to his childhood home and pushed towards bullfighting again. One of the funniest scenes is when this overly large, gentle bull, is making his way through a china shop, trying his hardest not to break anything. The cast includes John Cena, Kate McKinnon, Anthony Anderson, David Tennant, Gina Rodriguez, and the hilarious Peyton Manning. The music is okay, the storyline is fine, but overall it could’ve been made a lot shorter. It was enjoyable but not outstanding. It’s a very silly movie, pulling in an 8 out of 10.